Atlassian apps are widely used by development teams to facilitate software development and collaboration. For larger teams who require enterprise-grade tools, you might want to host the applications in your own data center and cluster them for high availability and performance. 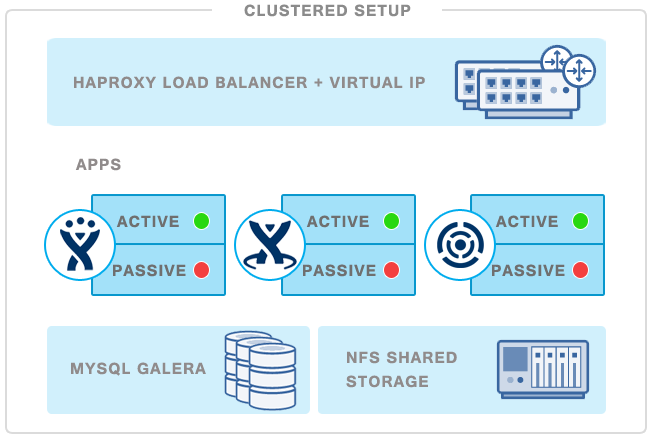 In this blog post, we are going to deploy a redundant active-passive setup for JIRA with clustered MySQL and NFS shared storage. Note that some Atlassian applications (JIRA, Confluence and Stash) already has built-in clustering support, and these require you to have a Data Center license. 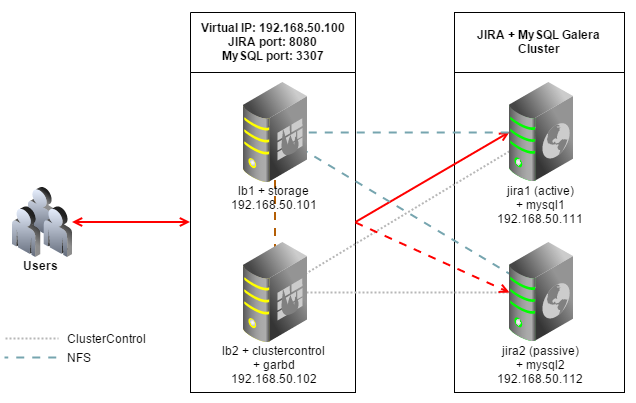 In this blog, we will show you how to cluster the regular/standalone JIRA server product by deploying an active JIRA server with an additional passive stand-by instance for failover purposes. All hosts are running Debian Wheezy 64bit, we will use Galera Cluster for MySQL as database backend. Iptables is disabled to simplify the deployment. 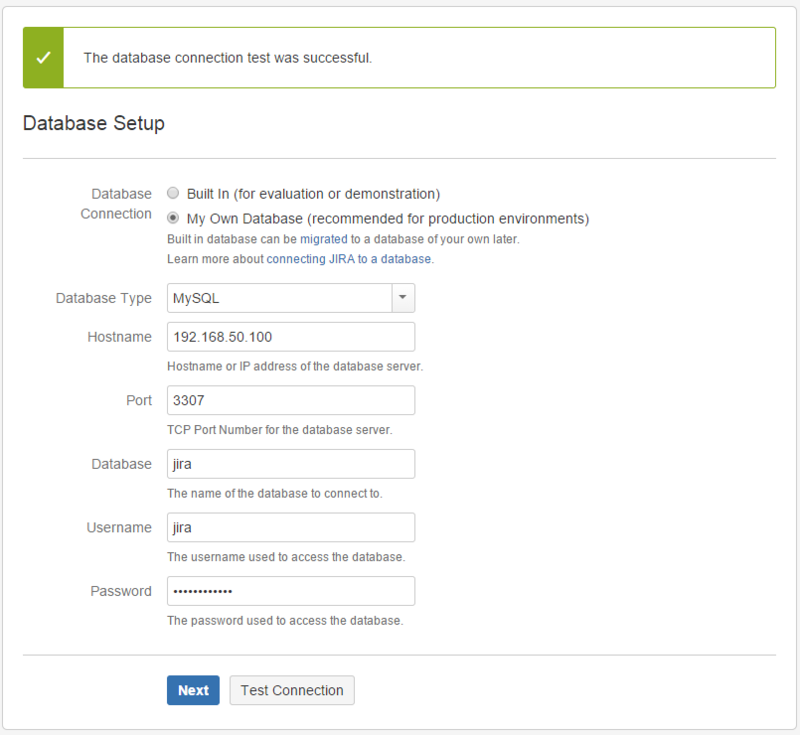 JIRA and MySQL services are connected via a virtual IP to provide single point of access. The database cluster deployment will take about 15 minutes, and once completed, the ClusterControl UI is accessible at https://192.168.50.102/clustercontrol . Enter the default admin email address and password on the welcome page and you should be redirected to the ClusterControl UI dashboard. It is recommended to run Galera on at least three nodes. So, install garbd, a lightweight arbitrator daemon for Galera on the ClusterControl node from the ClusterControl UI. 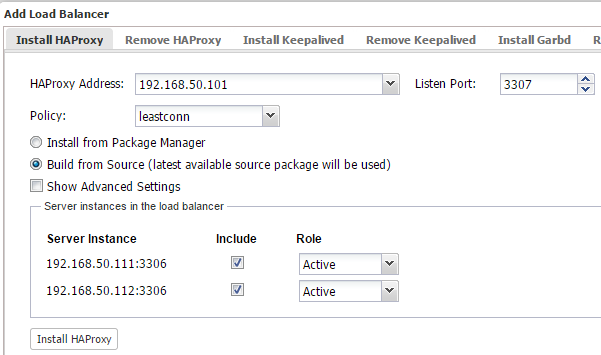 Go to Manage > Load Balancer > Install Garbd > choose the ClusterControl node IP address from the dropdown > Install Garbd. 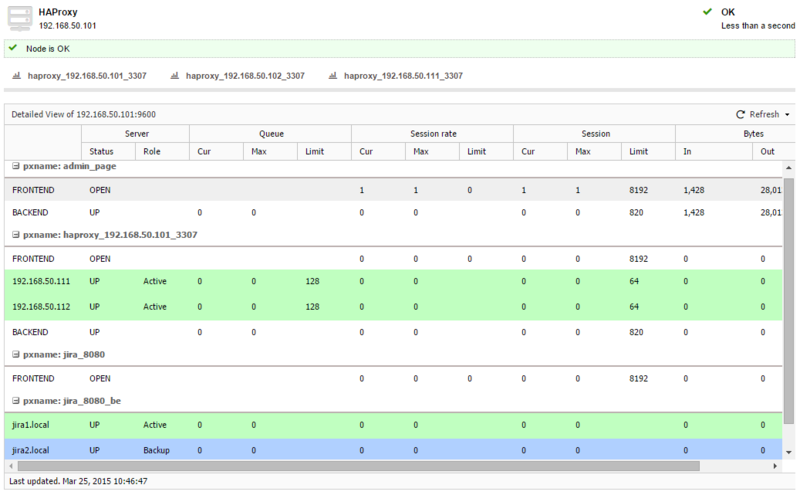 At the moment, MySQL Galera Cluster is load balanced with virtual IP, 192.168.50.100 listening on port 3307. We need to add the load balancing definition for JIRA which will run on port 8080. Since we are sharing the same JIRA home directory through NFS, we need to disable failback, which means if jira1 goes down and comes back up, it will remain passive. The other node will hold the active status, and if it goes down, then jira1 will become active again. ** HAProxy installation from source does not come with init script, so kill and start the process as mentioned above to restart it. 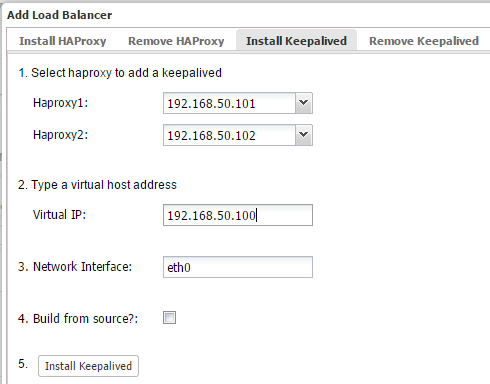 Alternatively, you can just kill the HAProxy process and let ClusterControl recover it. The following steps should be performed on lb1. The following steps should be performed on jira1 and jira2. The following steps should be performed on jira1. We will need to completely set up JIRA on the first node before proceeding to the second JIRA node. ** Accept the default values except for ‘Default location for JIRA’, where you need to specify the NFS mount point, /mnt/jira as the default location for JIRA data. JIRA installation directory should be installed under /opt/atlassian/jira. Create a schema for JIRA by using Manage > Schemas and Users > Create Database and create a database called "jira". Then assign all privileges to the schema with a wildcard host (‘%’). Choose the type of JIRA that you want to install and enter the license and wait JIRA to finalize the installation. Then, setup the Administrator account and click Next. 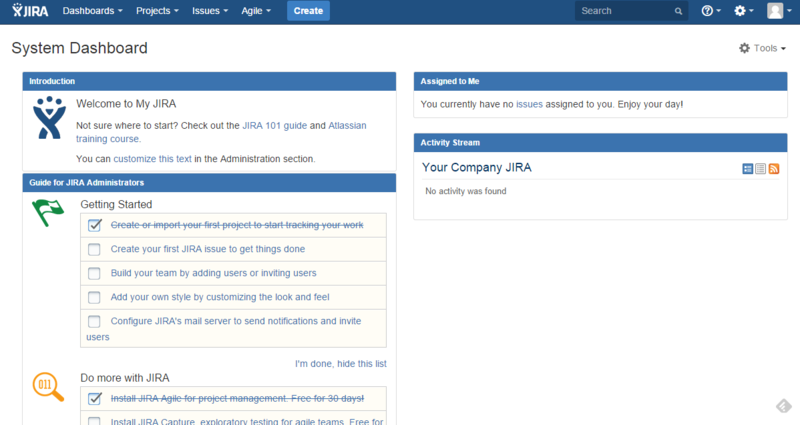 Installation of JIRA on the first node is complete. The following steps should be performed on jira2. ** Accept the default values. The JIRA installation directory should be under /opt/atlassian/jira, while the data directory should be under /var/atlassian/application-data/jira. JIRA startup failed, JIRA has been locked. The failure is expected since the home directory is currently being locked by the first instance. To perform failover in case the primary JIRA (jira1) goes down, refer to the next section. Wait for the bootstrap to complete and JIRA should be started. 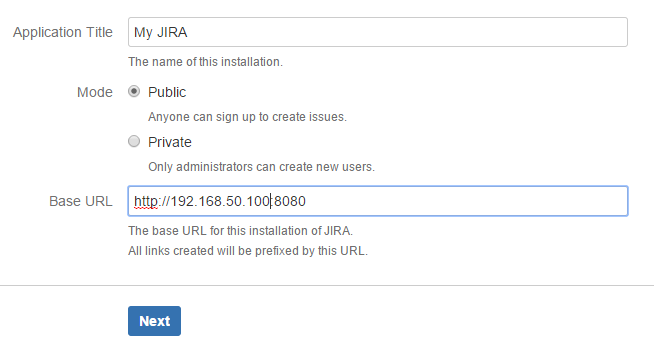 We should able to access Jira using the virtual IP, http://192.168.50.100:8080/ . Repeat the same steps if jira2 goes down. The steps performed in this blog post are also applicable for other Atlassian apps like Confluence, Stash or any of the other server products. This is not as good as Atlassian’s Data Center clustering product, but it sure provides redundancy at all layers. Happy clustering!